For-profit schools have garnered significant attention for their illegal practices and their unfair, deceptive, and misleading conduct. 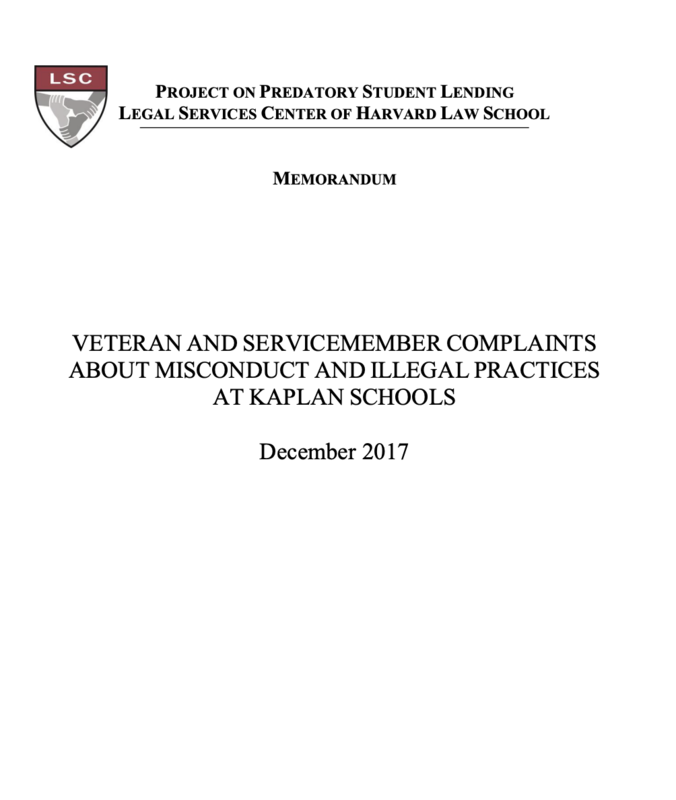 In particular, there is serious concern about their conduct with respect to veterans and servicemembers because for-profit schools specifically target students with military benefits. Moreover, there has been a recent wave of for-profit schools, including Kaplan, attempting to circumvent federal regulations by converting to nonprofits. Kaplan Higher Education Corporation (“Kaplan”), a for-profit corporation, is a subsidiary of Kaplan, Inc., which is owned by the Graham Holdings Company (formerly The Washington Post Company).